Will be hanging out, partying, conducting 40k interviews and then the team tournament this weekend. This is an excellent article on the subject of the often hotly disputed casual versus competitive player. It has been my experience in over 20 years of wargaming that most people actually like to win and play to as such. Do you visit online forums to read up on tactics and rules ? Do you make changes to your army after losing a game ? Have you ever got upset after losing a close game ? Don't be ashamed of being competitive... none of us believe your BS anyways. I was finally able to play my first game using my new 30k Templar themed army versus an 40k Ork horde over the holiday weekend. NOTE - My army is still very much a work in progress and nothing has been painted as yet besides the landraider which was borrowed from an existing army. Neither of us got a Warlord Trait worth noting. All the terrain was ruins with no almost real line of sight blocking. I won the roll to decide who got to place the first objective of which there was five. Two were placed along the center line, one each towards either short table edge. One objective was placed in one table corner in a ruin while the other two were over on the other side of the table both in ruins. I won the roll to choose deployment zone and go first, electing to let my opponent go first... He ended up choosing the deployment zone with the two objectives over to one side of the table. He placed the two squads of Lootaz inside ruins beside each other (one camping on an objective). One blob of Boyz were deployed beside the Lootaz. He deployed the other blob of Boyz with the Big Mekk and Pain Boy back along his table edge centrally located. The Warbikes and MANZ he centrally deployed forward beside each other. I opted to deploy only the Templar Brethren with Sigismund in their Landraider Phobos holding everything else in reserve. The landraider is outside range for a lucky first turn charge, placed in position to lure the MANZ forward in their Battlewagon. The Leviathan would arrive via drop pod first turn. The Centurion joined his Legion terminators who would deep strike. Finally the Force Commander joined to his Grenadiers would come in from their table edge. 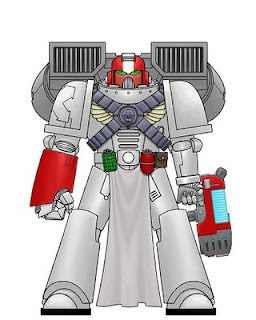 A Templar strike force lead by Sigismund have been tasked with retrieving a Militia Force Commander stranded on a lost Crusade world up against a vast horde of Yellow Moonz. The Force Commander's army has been whittled down to only one brave squad of Grenadiers by the time aid finally arrives... Better late than never ! The two forces have fought together before and Sigismund considers the Force Commander a good friend. NOTE - There are no actual victory points associated with the story; it was just there to add a little flavor and make the game more fun. There was a suggestion to drop the Centurion for more terminators but I have found Feel No Pain to be more worthwhile plus the WS5 will net more hits over the course of several rounds of melee. I have added quad launcher artillery and an apothecary to flesh out the list. As you'll see the boost in model count is incremental. The army could face some challenges versus heavy mech but otherwise is well rounded. 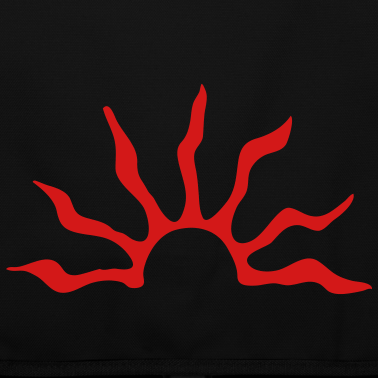 To be a true Templar is a state of mind. 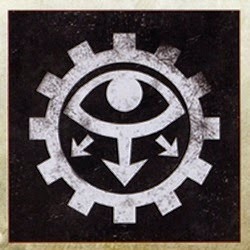 Forge World has venerated the Templar by virtue of their inclusion in the game of Horus Heresy. Templars date all the way back to the Holy Crusade which is saying something - they are special. There were no fiercer fighter at the time and legend has it they found Solomon's lost Temple during their campaign in the Middle East. Templars still exist today as a secret society. 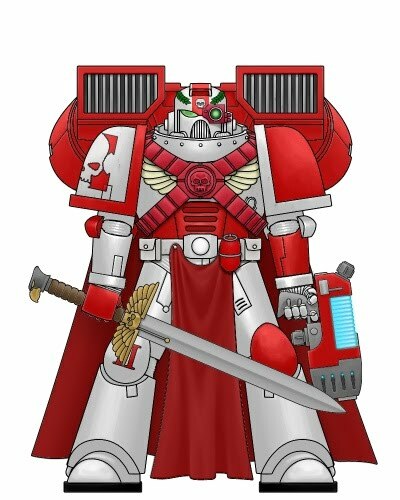 If you are a fan of Black Templars then you might want to check out the Horus Heresy - not only do the Imperial Fists have one of the best special characters (Sigismund) in the game, they also have access to Templar Brethren which Sigismund automatically converts into a troop choice. My new army project is Imperial Fists which will have a heavy Templar theme... 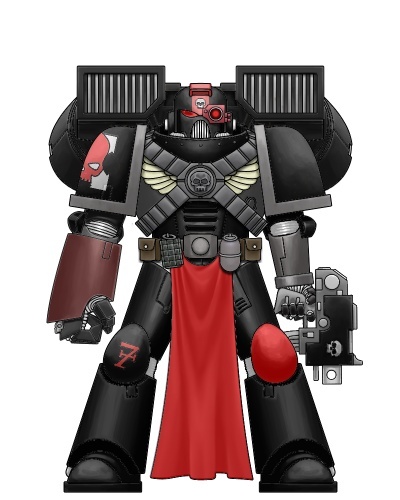 They bring back the magic of old which Black Templars had in the good old days of codex Armageddon. Strike a Pose - Sigismund !!! Here is an exciting battle report from a fellow White Scars veteran... Enjoy ! I have always liked Imperial Fists. Often in 40k they have been portrayed as inept and under achievers - here are two examples... Storm of Iron by Graham McNeil was all about the Iron Warriors at the height of the Chaos Space Marine 4.5 codex. Iron Warriors and Imperial Fists are eternal enemies. if you go to Lexicum there are two versions of the history presented for Rogal Dorn, Primarch of the Imperial Fists. One version is told through the eyes of the infernal powers which shows Dorn in a poor light and it is the more popular version. There is also the Imperial version which is probably more accurate and reveals all the things you never knew. The Imperial Fists as presented in Storm of Iron are a slap stick pushover for the Iron Warriors and present no resistance. In truth the Imperial Fists bested the Iron Warriors many times and are more than an equal match. There is also a short story by Dan Abnett about a Tyranid invasion on an Imperial World. Imperial Fists arrive via drop pod assault and are quickly consumed by the Tyranids. These are two prime examples how Imperial Fists are often poorly portrayed. Yellow is often considered a hard color to paint which steers a lot of people away from playing them as well. Imperial Fists have fairly mediocre chapter tactics as well. 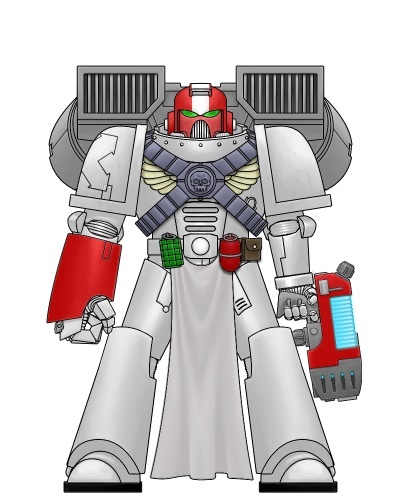 A lot of people don't realize Black Templars are a successor chapter derived from Imperial Fists and Sigusmund was their first Chapter Master and also the original Emperor's Champion. 30k has the Templar Brethren which were a precursor to Black Templars and can be fielded as troops if you take Sigusmund. 30k presents Imperial Fists in a different light though and they are probably one of the stronger Legions. They have very solid characters in the form of Alex Pollus and Sigusmund. Their terminators are the most flexible with access to assault cannons and storm shields, both of which can be fielded in the same unit. While Dorn is not one of the strongest Primarchs he is probably the least pointed and is still solid for what you get. Imperial Fists are siege masters and properly designed for this role in 30k. I've talked about the Stone Gauntlet Rite of War which is kind of a sleeper... Who doesn't want T5 terminators with BS5 when firing boltguns and I5... Plus the 3++. Breachers and the Phalanx Warders also benefit from these rules as well setting them both well above tactical Marines. Oh and their boarding shields count as having defensive grenades on top of everything else. So check them out - they are special indeed. All the troops are all +1T and +1WS due to their boarding shields following certain restrictions (see below) and count as having defensive grenades. A unit with a Legion Vexilla may re-roll failed Morale tests. Confers 6++ invulnverable save, increasing to a 5++ in close combat. User is treated as having defensive grenades. A vehicle with this wargear is not subject to the additional D6 armour penetration caused by weapons with the Melta special rule. May be used in assault isntead of the carrying model's normal attacks or weapons. The model makes a single attack. Place the Blast template anywhere in base contact with the attacking model so it covers the enemy. The template may not cover friendly models. Roll to hit against the majority Weapon Skill of the enemy (buildings, emplacements, and stationary vehicles are hit automatically). On a hit, the template remains where it was placed. On a miss, roll a scatter die and flip the template in the direction indicated (always flips). After the blast marker is placed for a weapon with this rule, the firer may move the marker up to 2" in any direction so long as this would cover more models than previously. When charging, the model inflicts 2 Hammer of Wrath attacks and gains +1 Initiative in the Assault phase of any turn in which it has charged. After normal attacks by this weapon have been resolved, count the number of unsaved wounds caused on the target unit. Immediately resolve a number of additional automatic hits on the same unit using the weapon's profile equal to the number of unsaved wounds - these can then be saved normally. Models must still be in range in order for the additional hits to take effect. These additional hits do not themselves cause more hits. Instead of rolling to wound normally with this weapon, any model caught in its blast must instead roll equal to or under their Strength on a D6 or suffer a wound (a roll of a 6 always counts as a failure). After the Graviton pulse weapon has been fired, leave the Blast marker in place. This area now counts as both difficult terrain and dangerous terrain for the next turn. At the start of any Assault Phase, Polux may lower his Attacks characteristic to 1 but ignore the Unwieldy rule for his Power Fist for that phase. He would still have 2 attacks on the charge. Hardened Armour counts as being Void Hardened. Failed armour saves against template and blast weapons may be re-rolled. Reduces distance rolled for charges, sweeping advances, and run moves by 1". Units with this special rules may always attempt to regroup regardless of casualties. When a blast weapon is used with this rule, leave the blast marker in play for the rest of the game. This area is now treated as dangerous terrain for all models with a Toughness value and open-topped vehicles. A Leviathan Dreadnought has a 4+ invulnerable save. 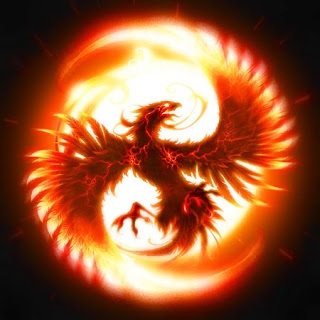 In addition, if the Leviathan suffers a Vehicle Explodes damage result, add +D3 Str and +D3" to the radius of the blast. If unengaged and has at least 5 members remaining, gains +1 WS in any turn in which it has been charged by the enemy. Friendly models joining the squad gain this benefit as long as five models with the special rule survive. Attacks with this rule may re-roll failed Armour Penetration rolls. Polux and any unit he joins may opt to pass or fail any Morale or Pinning checks. In addition, one Infantry type unit with the Legiones Astartes (Imperial Fists) rule in an army with Polux may gain the Deep Strike rule via teleportation. Here's the new hotness for kitting a Contemptor Dreadnaught to hunt Spartans and other armor with armored ceramite and flare shields. Gains 5++ Invulnerable save from shooting attacks and explosions, and a 6++ Invulnerable save in close combat. In addition, add +1 to the range of explosions from the Reactor Blast rule. Legion Dreadnought Drop Pods have the Shrouded special rule on the game turn that they arrive (also applying to interceptor fire or similar effects). Upon landing the doors open automatically but the Dreadnought does not have to deploy. In this case the Dreadnought benefits from the effects of Shrouded as do any units whose line of sight passes through or over the Drop Pod on the game turn of its arrival. Place the drop pod in cover when the Contemptor arrives from reserve - the Dreadnaught drop pod is shrouded the turn it arrives which will stack with the cover save from terrain... It's fairly easy to get a 2++ cover save assuming the drop pod does not scatter out of the terrain. The Contemptor can remain inside the drop pod and shoot out from it. It's Graviton guns have Haywire which glances on a 2+ ignoring armored ceramite and flare shields. This could net two hull points the turn it lands plus the effects of the Graviton Pulse. Is It One Big Second Guess? As soon as I finish my Imperial Fists army I'm thinking my next project will be a Word Bearers Gal Vorback themed army. Every game I've ever played of 30k is truly sheer awesomeness... I'm not even going to talk about the other game tonight. 30k is gaining a lot of traction and there are a lot of places on the Internet to hang out and discuss this absolutely amazing game. The Betrayal of Calth boxed set is helping to catapult the game to the next level. 30k has something really special going for it - that's Alan Bligh who writes all the rules and he really cares. Forge World releases FAQs for the rules which is a big deal when you stop to think about it. I can easily see 30k taking over in the next five years... People gravitate to what they like which is natural. The game is growing at a nice pace and Forge World tends to do things right and for the right reasons. If you like Space Marines or Chaos Space Marines then check it - you'll be glad you did. You can actually build a fluffy army that is competitive and to me that's saying a lot. Should a model be slain by the Nanyte Blaster, roll a D6. On a 4+ center a Large Blast marker on the model's position and resolve a blast attack at Str 5 AP 2. Further casualties may themselves trigger futher Uncontrolled Replications. Next up - Sigismund and Templar Brethren ! This is an Imperial Fists Rite of War known as the Stone Gauntlet. Warder squads may be taken as troops. Essentially any Marine with the Imperial Fists Astartes rule that is equipped with a boarding shield or storm shield and within a squad of at least 3 similarly equipped models gains +1T so long as they do not run, charge or perform a sweeping advance in that current player turn. Essentially any Marine with the Imperial Fists Astartes rule that is equipped with a boarding shield or storm shield and within a squad of at least 3 similarly equipped models gains the Hammer of Wrath special rule. - Compulsory troops must be Breacher squads. - You may not take more Elites and Fast Attack choices combined than you have Troops choices. You must field an HQ with the Master of the Legion special rule (i.e., to take a rite of war) and fill the two minimum troops requirements with Legion Breacher squads. I am working on building a new Imperial Fists army for 30k and it's a lot of fun getting back to modeling again. I'm a bit burnt out on 40k so this is a good project for me. 30k has much better balance and every legion has good rules. The Betrayal at Calth is a great way to get into 30k and I love working with plastic. 30k has been out now for at least five years and is rapidly building up a strong player base. We just had a Zone Mortalis campaign last month that was well attended and there will be another this May re enacting the infamous Ivstann drop site massacre that was the beginning of the Heresy. There is a lot to choose from now if you're thinking about getting into 30k... It's a great time and is only going to get better. The Horus Heresy has replaced LotR as one of Games Workshop's three main lines so you can expect to see more plastic models releasing over time. I love the Forge World models too. My new army is Imperial Fists and they have some great rules and their own unique units like Templar Brethren and Sigsumund who was the first Emperor's Champion and later became the Chapter Master of Black Templars. Like I said there are many armies to choose from including Admech and their own brand of Imperial Guard. I've posted an army list but of course it has already evolved over time. If you like Space Marines then check it out ! We do our best to communicate that that is how you reach us but obviously we can't reach everyone. That is the main way we determine how important a topic is to the ITC community. We try to answer all of the questions we get via email but it sometimes just isn't possible. For example, we had roughly 600 rules questions in there prior to the LVO. The volume is pretty nuts. When we address rules issues we aren't always trying to determine what a rule says. I think that is a big part of the confusion with folks. The rules for 40k are not written for anything even remotely close to tournament play, they're written for a casual, cinematic gaming experience. We have found that trying to play the game RAW leads to absurd experiences. For example, if you really play RAW, the literal "most important rule" in the game according to GW is to resolve a rules dispute with the toss of a D6. If you reject that rule (and of course, in tournament play you must) then you have rejected what RAW tells us is the most important rule in the game. You undermine any pretext to basing every other judgement on a strict RAW reading. Another example is setting up a game, if you choose to use points, or forgo Unbound, etc, you are diverting from RAW. I use silly examples purposefully as it shows that a strict RAW reading of 40k is unplayable in an organized setting. Therefore, we all choose to change some of the rules in the game and it comes down to which ones we choose and to what degree. That is where the conflict comes in as we all disagree on where to draw that line in the sand. The ITC isn't mean to dictate to players how to do that, it is meant as a starting point to help facilitate organized play, and to grow the community. A lot of folks may get upset about this or that rules interpretation but seem to forget the first rule of the ITC: you can choose to change any of it to suit your local community. You like most of the format but dislike a certain rule call? Play it the way you like, we don't care. 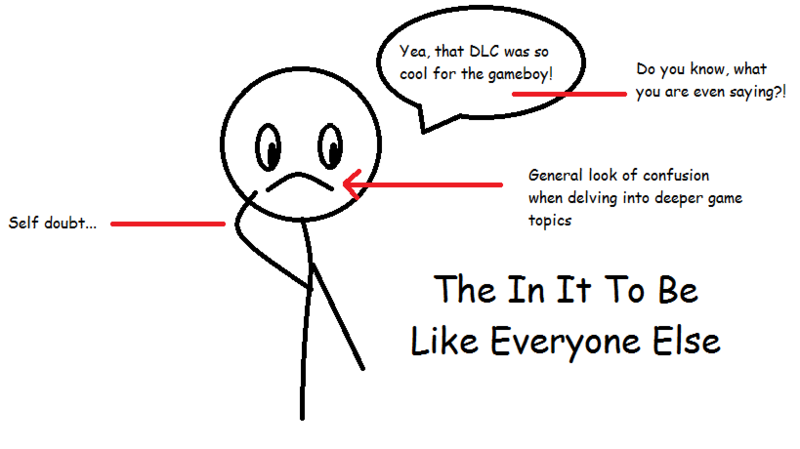 You can still participate in the ITC, but play the game the way you like to. A lot of our largest circuit events diverge from the ITC policy in minor to major ways and we could honestly care less, lol, it's about having fun. Our philosophy as TOs here at FLG, and the way we choose to run our events is to go with a mix of what we feel is RAW and RAI with the support of community driven decisions. We want those participating to have a voice in important rules interpretations. We feel personally, and have found that most gamers prefer to play what they feel a rule means, not always what it says specifically. They in general also want a fair game as opposed to a maximum power game. Again, that can be interpreted many ways, and can cause conflict as not everyone sees those issues the same way, which is why we vote instead of dictating. We do verify the poll data to ensure that no one is ballet stuffing. I won't go into the ultra specifics of how we do that because someone smarter than me may see a way to circumvent our protective measures, but the data is verified. As for ITC member emails, yes, TOs collect that data for us to both verify your score and to go into the ITC email database. But, we also gather data for that purpose from other sources, too. We didn't add a open question to the poll this year for player feedback because to be blunt, we wouldn't even be able to read thousands of comments. It would have been a bit of a hollow gesture. We strive for transparency with everything associated with the ITC but communication is challenging. Prior to the LVO we had some rules calls we had to make for the event and so we made interim rules calls among our judging staff. I am restructuring the FAQ to reflect interim rules calls so that everyone can more clearly understand what stage a rules call is at. But for the event, we voted among judges as to how to make a call and some of the calls were made at the event itself as with the incredible complexity of this game, you simply cannot prepare for everything. So, hopefully that answers some questions and/or concerns. Thanks to everyone that participated, last year was crazy for the ITC, we grew like mad! 800% increase in events, 400% increase in players, it lead to the largest 40k championships event ever at the LVO, we saw ITC events in a ton of new countries even, it was very cool. We do listen to feedback and value the critiques. The ITC is not about telling everyone how to read every rule or what have you, it is a tool set to help grow the community, and one that is free to be modified as the individuals using it see fit. We're working on a free app to run ITC tournaments, we offer discounted terrain and F.A.T. Mats to TOs, offer free marketing to help promote their events, etc. We're using it as a tool to make going to events a little more exciting with rankings and prizes and to grow the hobby we all love enough to spend time arguing about it online, haha. Great review by Reecius ! So I've decided my next army will be 30k Imperial Fists. It's one of those armies I've always wanted to build but other armies got in the way... So the new Wulfen must wait. I'm excited about this new project !